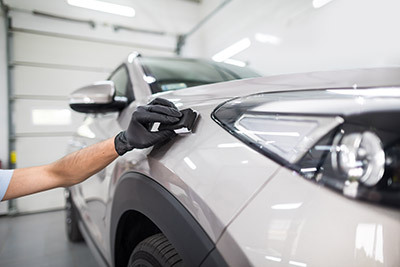 Protect your vehicle’s paint from chips and scratches. 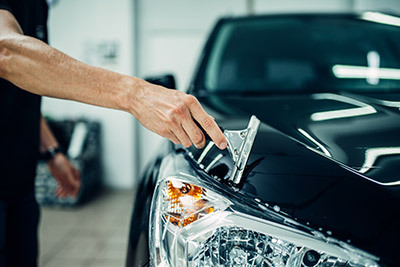 Protect your vehicle’s paint and other vulnerable surfaces from stone chips, scratches, bug damage, road tar stains, automotive fluid stains, and punishing outdoor weathering with 3M paint protection film at Performance Collision Grimsby. 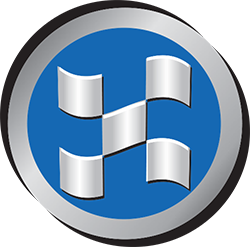 Paint protection film protects vulnerable areas such as front bumpers, hoods, side mirrors, door handle cavities, door edges, rocker panels, and rear fender panels. To learn more about 3M paint protection film or to book an appointment, please call 1-866-501-1091. Hoods, bumpers, and mirror backs. Door handle cavities and door edges. Full hoods, trunks, and roofs. 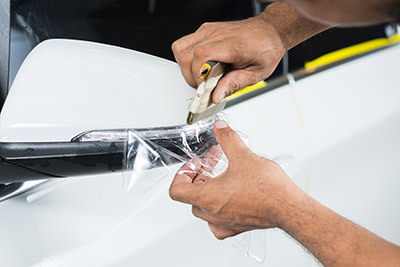 The protective film will not alter the appearance of your vehicle. Side mirrors protected from scratches, stains, and chips. Fender panels protected from chips and contact with parked vehicles. Repair and rejuvenate your vehicle at Performance Collision. We proudly serve Grimsby and all of southern Ontario. Your satisfaction is our guarantee.